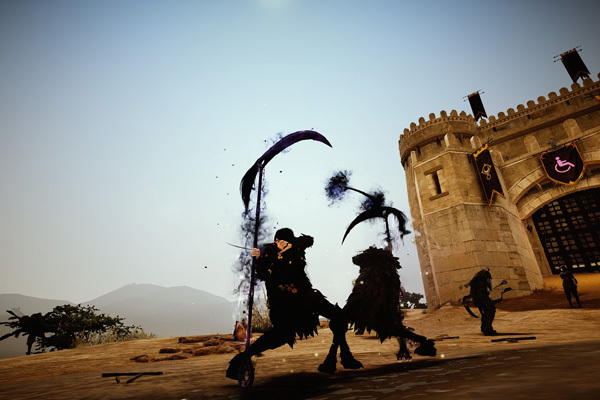 Thinking about the best guild, to start a series of guild spotlight of the guilds in Black Desert Online my thoughts reached out for Sovereign. While there is lot of hate against Sovereign, they have shown their skills more than once by simply proving their capabilities in actual combat. The international guild Sovereign is one of the most known guilds on Alustin. Sovereign is home for a lot of players that have dedicated their lives to PvP. All of them strife for perfection of their class. Given that it is no wonder that this guild has a lot of people that are called the best among their class. I talked to Nyn_Idc, the guild leader of Sovereign, to get more information of this exceptional group of gamers. In the very beginning, there were two guilds: WAR and Sovereign. While both guilds were fairly small in the beginning, both were serious about the PvP in Black Desert Online and had a weekly schedule with many 10v10 GvGs. Eventually they met on the fields and both guild quickly realized that fighting each other was the best competition they had so far. Without much competition outside of their fights, both guilds started to make plans for the upcoming Siege Wars. As WAR and Sovereign shared the same mentality and had the same goals for their guilds they decided to merge their forces into a single guild. The reason why Sovereign was chosen was simply based on the logical reasoning that Sovereign had a higher guild level. Thanks to the merge both guilds could keep their original ideology while being stronger than ever. 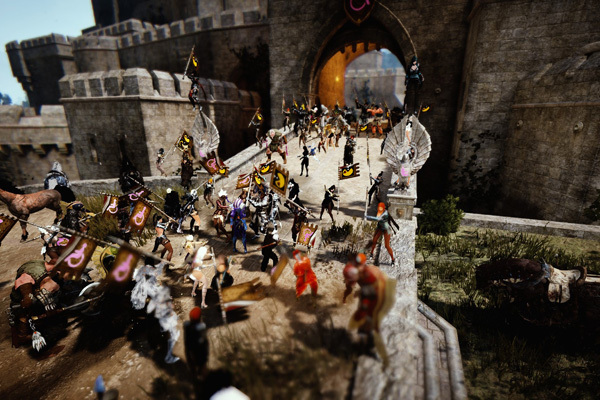 Until today nothing of that has changed and Sovereign’s only focus in Black Desert Online is the PvP, regardless of it being small scale, open world, GvG or the Siege Wars. 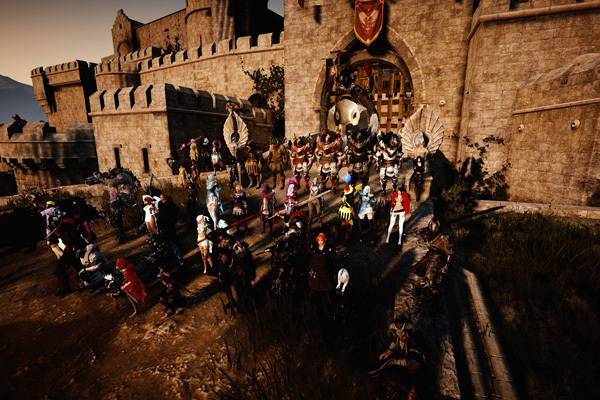 With, currently, about 60 members Sovereign is a medium sized guild in Black Desert Online. Yet, instead of trying to sneak Nodes they always fought their enemies head on, regardless of their numbers. “When we saw that we are able to take out every guild in a 1vs1 battle, we decided to go against the big alliances that never came to fights with one guild only.”, Nyn_Idc explains. To be able to compete against this kind of enemies Sovereign is always trying to improve themselves. Permanent Guild Wars against the bigger guilds and alliances are just a small part of it. Their strength is also coming from their recruitment philosophy and the training they are putting into the game. Instead to focus on a single tactic, they practiced a lot of different siege strategies and made them their own. Thanks to that, Sovereign is able to react and counteract to their opponents in any situation. While Sovereign always tries to fight their opponents on their own, they understand that there is a certain limit to what they are able to do on their own. In situations Sovereign knows they won’t be able to compete against the sheer number of their enemies they can always rely on their alliance with Revolt. “Revolt has always been there for us when needed them and we also have helped out whenever they needed us. Revolt has shown that they will be there for us even if it means losing something themselves and we have done the same for them.” Nyn_Idc expounds. “Our current goal is to keep our community as much fun as possible while we keep dominating in the PvP scene on Alustin at the same time!”, are the first words from Nyn_Idc about the future plans of Sovereign. To realize those plans, Sovereign already starts to separate the wheat from the chaff in their recruitment process. Basically everybody can apply for Sovereign but as they are looking for exceptional players, they have set a few trials to overcome for the applicants. Instead of having formal gear requirements, like a lot of other guilds, people that apply to Sovereign have to overcome a trial of fire. All people are tested in duels and various other PvP scenarios. That does not mean you need to be, already, the very best of your class but you need to show that you know your class, you have the reflexes, the knowledge about the game, and the will and possibility to improve. The whole trialing is confidential and the leadership of Sovereign is never giving out any information about the people taking the trial but instead of trying to give tips on what to practice, in case they are not yet ready to join Sovereign. Another thing, a lot of people on Alustin might look forward to are Sovereign’s plans on creating a community to endorse more open world competition. This is definitely something for all those people and guilds enjoying all kinds PvP action and I bet I am not the only one that is exited for the actual outcome of those plans. Have you already encountered Sovereign in a fight? What is your experience with Sovereign? Let us know in the comments below! If you want your guild to be featured in one of the upcoming unofficial guild spotlights send me a message here or contact me on any IHA Discord. I am going to feature guilds (PvE, PvP and PvX) across all servers (including the NA servers). Comming out of the alliance closet in one day. Bro, you don’t realize most of those things you’ve linked are our own members being sarcastic? Yes we are friendly with Revolt, but we have not fought together with them for a while, at least not the past 3-4 sieges. Am I missing some kind of joke here? The only thing Sov is known for is being a hypocritical bunch of crybabies with double-standards that let them whine “unfair!” whenever they can’t handle competition just to do the exact same thing later on. Says the guild that cried “zerg” after every GvG session? First you cry “zerg” and hate on any guild that brings more than 50 people to a war. Then you say guilds are “ruining GvG” by forming alliances and now you do the same with a straight face? “Without much competition outside of their fights” Without much competition? I guess getting crushed next to Heidel with even numbers until you camped safezone&switched channels wasn’t enough “competition” for you. Or maybe calling out the node we were going for so we could fight you 1v1 wasn’t enough. There won’t be any competition if you dodge it, Sov. What a bunch of joksters. To the time when War bought Sovereign, War was avoiding fights crying about alliances and big zergs even though most of their foes were fighting solo. Their core is very toxic (I’m not talking about griefing) and enjoys trash talking. They do have some nice people as well I won’t deny that. However the bad impression prevails. This is the major reason why their PvP achievements doesn’t get valued as much as they claim. Today Sovereign is in an alliances and their fights get zergy as well (like most guild with a competitive headcount). All these salty motherfuckers with nothing but words to back it up. Salty crybaby comments confirm that the guild has been successful. Sure, the guild has been “successful” if you consider being a bunch of crybabies and whining about zergs and alliances one day just to do those exact same things a couple weeks later to be “success”, good job. What a great purpose to this laughworthy guild. Can’t wait for the server merge so I can join an actual good guild..
Mr. GoodJoke raged much? Seems Sovereign has been successful in killing you way too many times.